With Barbara Young Medical Billing Services, all medical information is safe. Barbara Young Medical Billing Services is fully HIPAA compliant, and our experienced medical billers are trained to handle medical billing information with care and confidentiality. 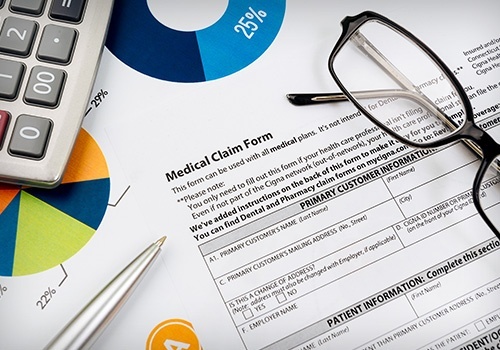 We understand that privacy is crucial in the medical billing industry, and you can count on our medical billing specialists to deliver honest, professional medical billing services every time you do business with us. Barbara Young Medical Billing Services has all of our medical billing workstations and medical billing software password-protected. We utilize both an external hard drive and cloud-based storage which are backed-up every day to protect medical billing data. Barbara Young Medical Billing Services has premises both outside as well as inside equipped with top-of-the-line security and camera surveillance equipment 24/7 provided by APB and as well as private patrol. Barbara Young Medical Billing Services has internet that has VPN/SSL/security encryption installed. Barbara Young Medical Billing Services follows a strict and secure medical billing document disposal process. Our partner shredding company Shred It provides us with certificates of destruction at the time of medical billing document shredding. Barbara Young Medical Billing Services commits to keeping all information concerning physicians and patients, including personal and financial information, strictly confidential. We will not disclose any information to any person or third party except as may be necessary to file and process medical claims and/or patient billing, for perpetuity. Barbara Young Medical Billing Services adheres to the highest level of medical billing industry standards to ensure the delivery of premium-quality medical billing services. Rest assured that when you choose Barbara Young Medical Billing Services, your facility and medical information are in safe, qualified hands. Contact our medical billing specialists today to learn more about how we can be of service to you.